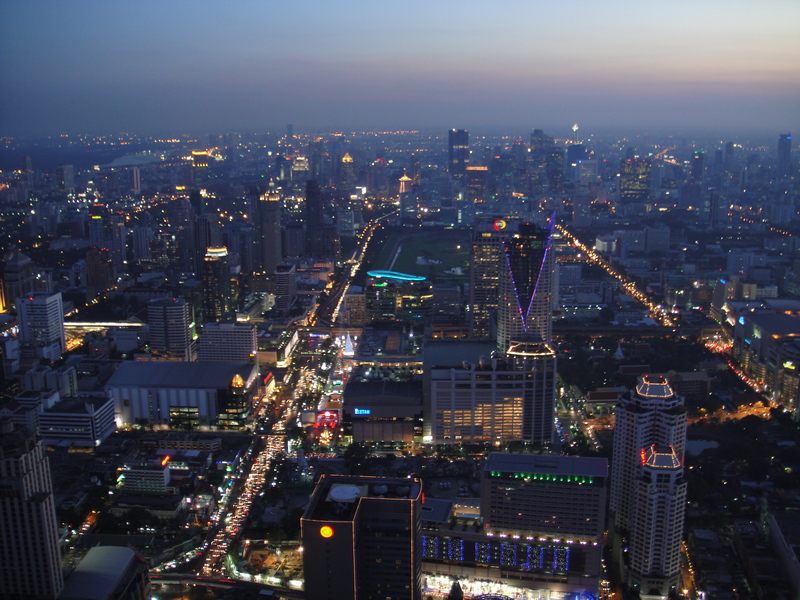 Bangkok is massive and has an amazing skyline, home to over 1,000 skyscrapers with more being added everyday. It is the world’s 17th “tallest” city. 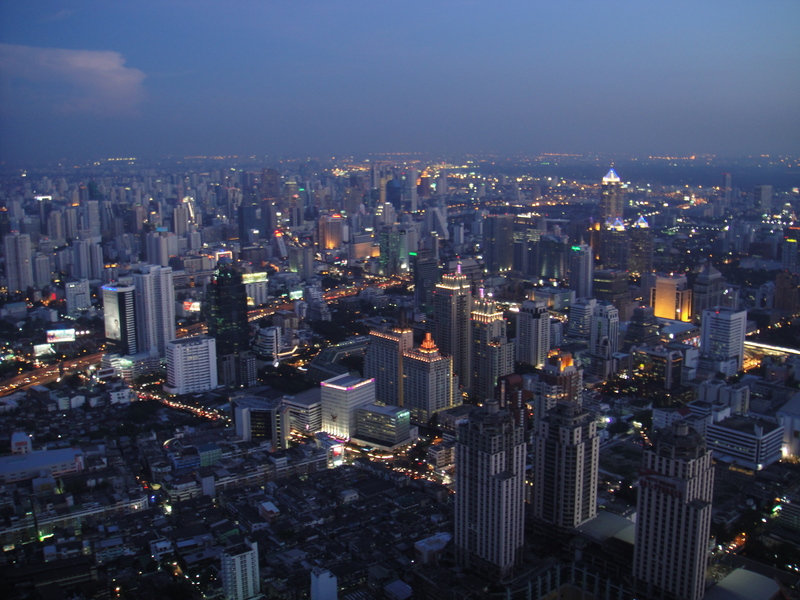 All of these pictures were taken from the 84th floor of the Baiyoke tower, home to Thailand’s highest hotel. The tower features a revolving observation deck on the 84th floor, worth the visit. The modern buildings all have spires, domes and ornate features on the tops of the buildings and make the skyline beautiful at night. In the lower right hand corner of this picture you can view a challenge of the new Bangkok- 3 unfinished and vacant buildings and surrounding area, the buildings will never be finished and probably won’t be torn down. In this picture you can see some of the commute time traffic. Bangkok is surrounded by a winding river with very few central highways, leading to some serious time sitting in your car. You might also be able to make out the huge Christmas tree in the middle left of the picture. 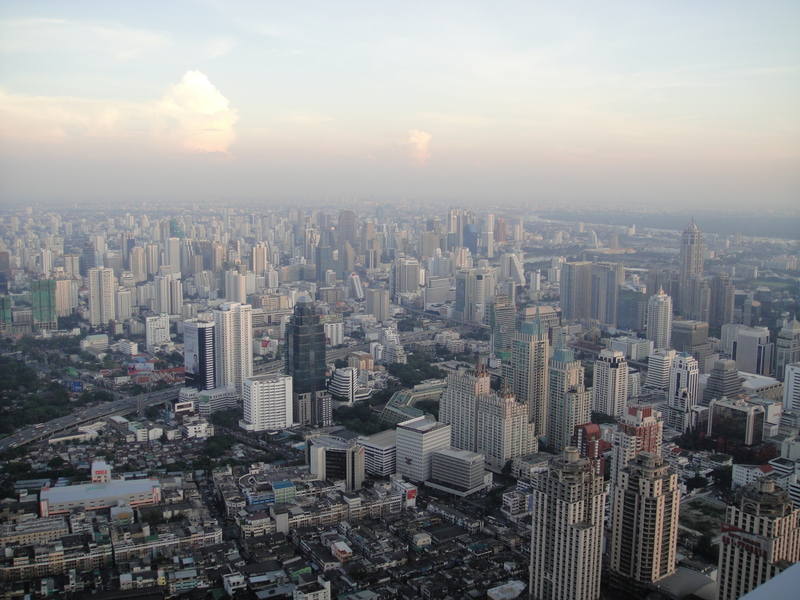 This entry was posted in Bangkok, Landmark, Sightseeing, Thailand and tagged Baiyoke Hotel, Bangkok, current events, sightseeing, Skyscrapers, Thailand, View. Bookmark the permalink.